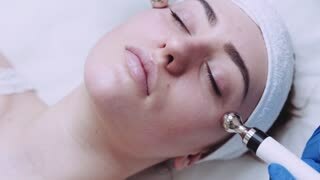 Close up view of beautiful female face having plastic massage by beautician. Health care, skin care. Lifting procedure, correction. Being young and beautiful, therapeutic activities. 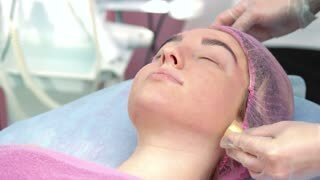 Problematic face skin, cosmetic procedure. Beauty clinic patient close up. 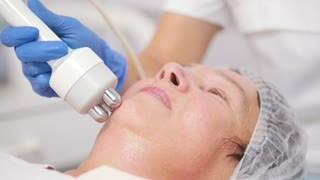 Rf skin tightening close up. 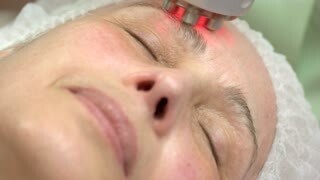 Mature female face, cosmetic procedure. Hand applying foundation close up. Face of a girl, cosmetology. How to hide skin redness.